Granite Countertop Warehouse is a leader in residential countertops in the SouthEast but did you know that we also fabricate and install countertops in businesses and institutions. 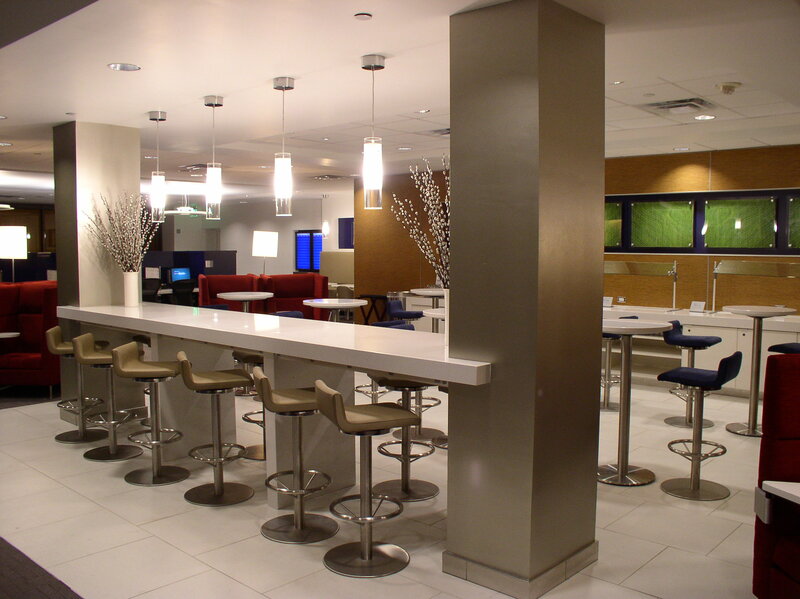 GCW commercial division offers complete countertop and stone fabrication for banks, restaurants, schools, hotels, condos and most kinds of businesses. Our team of expert estimators is able to assist in design and fabrication decisions in addition to delivering timely and accurate quotes. Due to our large inventories and buying power, our estimators are able to quickly source, fabricate, deliver and install your material at the best prices. Our project managers are very experienced and understand the budgetary and logistical constraints that businesses have to deal with. We understand your schedule and the timeliness of your project. Our templating and installation teams also have the experience and understanding of the job site. They understand and adhere to commercial safety and communication protocol.